Travis Garland is finally back! For the past two years, I've been a big fan on Travis and his music. His last self-titled EP was released back in 2013, and it easily became one of my favorite albums of that year. "Easy" was my everything! 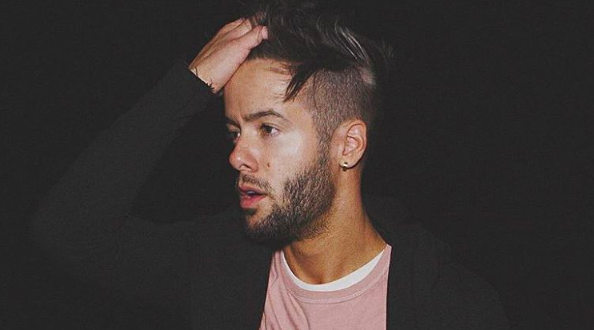 After two years of reflection and a stint on Marriage Bootcamp: Reality Stars with girlfriend Aubrey O'Day (Dumblonde/Danity Kane), Travis is back to doing what he does best: making music. Travis just announced on Twitter that he will be releasing his new EP, Uppers + Downers, for free on his Soundcloud. And if things couldn't get any better for us fans, he also dropped the music video for his latest single "Bodies." The song is everything I wanted and more out of Travis' new music. It's raw, it's real, and it oozes pure talent. This guy is beyond AMAZING and more people need to get to know him. I hope this latest musical effort will reach the masses and gives Travis the recognition he so rightfully deserves for his music! Check out the video below + download "Bodies" here!